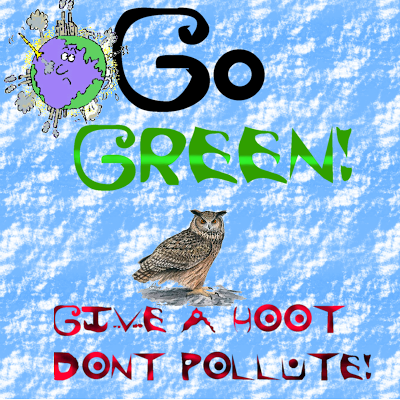 Earth Day was celebrated last Wed, April 22nd which is its official “day” each year. Some of the other suggestions for a name that very first Earth Day were E-Day or Ecology Day. I learned about this piece of environmental history when I listened to an interesting story about how Earth Day got it’s name on NPR and learned also that April 22nd was Julian Koenig’s own birthday as well. He died last year at the age of 93. In an interview, Koenig said – “Earth Day is one of the things when my children say what did you do in the Great War, Grandpa?” I can answer “… I named Earth Day”. Julian Koenig was an advertising executive. He is well known for the Timex ad with the slogan that “it takes a licking and keeps on ticking”. He was also an environmentalist and was part of that group that was organizing an environmental teach-in back in 1970 (Earth Day is 45 yrs old this year). The group didn’t think “teach-in” was a catchy enough name – too academic and not action-oriented enough. The group placed an ad in The New York Times and along with that name “Earth Day” helped achieve an unexpectedly massive turnout of 20 million people. Denis Hayes, the campaign’s young national director, realized in that moment “…oh, my God, we have – we’ve unleashed some powerful new force now on American life”. With the first Earth Day back in 1970 there began to grow within humanity a more intimate perspective towards the planet. We began to see the planet as a macro living organism with systems that mirror our human body. With a new awareness at the governmental level, legislation was passed to help clean up some very dirty air quality and polluted waterways. The Environmental Protection Agency was created in the United States of America at that time to assist in clean up efforts and try to prevent future messes, similar to those we had responsibility for creating in the first place. Sadly, there are still way too many messes on this planet to yet clean up. Both my business partner and myself “came of age” (graduated from high school) at the very beginnings of Earth Day. It was a time of idealist activism and so it isn’t any wonder that we are gratified that we can financially support our family with an environmentally friendly business. Our business participated in many, many St Louis Earth Day events back in the 1990s and early 2000s. Today will be this year’s event in St Louis at Forest Park near the Muny outdoor theater. I am grateful that the event continues to be inspirational for both making good environmental choices and in supporting recycling in general. One of the featured events is the Recycling Extravaganza. This is being held as part of the St Louis Earth Day Festival on Sunday, April 26th. It is a collection event for hard-to-recycle items (while these are not the same materials that Yemm & Hart recycles, extending the life of all extracted natural resources is a very important purpose for recycling). Items collected at Earth Day in St Louis this year include CRTs and Flat Screen TVs (for a small fee), compact fluorescent light bulbs, Brita filters, medications (not for recycling but for ethical disposal), clothing & other textiles, building & construction hardware related items for Habitat Humanity, shoes, medical in-home care accessories, toys & stuffed animals, musical instruments as well as sheet music, and bicycles. Within my family it isn’t good enough to simply throw things away. We also recycle everything that possibly can be recycled to keep from adding to the volume in the landfills. We have an awareness regarding this because our family business at the moment involves making new construction materials in the form of panels and sheets from recycled post-consumer plastic containers, automobile tires and industrial waste by-products. Because we live in an isolated wilderness we do not have a curbside trash pickup. We have to haul not only our recyclables into town but our non-organic, non-recyclable trash to the transfer station who then takes that refuse to an approved landfill (our local landfill having long ago reached its own maximum holding capacity). Anything that might break down in an organic manner is put into a composting pile at the western end of our back porch where its presence isn’t disagreeable to daily living. Recently, I wrote about our family’s tree planting this year (see “Spring Planting in the Forest“). I discovered as part of Earth Day “global” this year that there is the Forest Nation event – “Pledge to Plant for Earth Day”. They say on their website – “It’s an old Native American tradition that when you take something from the Earth you must put something back. Earth Day 2015 will be a global Give back to Earth event, as an offering for all that the planet gives us.” This is our perspective as well – not just for Earth Day, not just for this year, but for always. We are in a multi-year cycle of harvesting trees (logging) for the purpose of enhancing the health and vitality of our forest. We have received expert advice to guide us from our state’s Dept of Conservation forester as well as enlisting the services of a professional forester to create a forest management plan for our farm. We are also in a multi-year reforestation project to return the open fields that were previously row-cropped or used as pasture for livestock grazing back into forest. 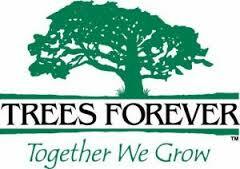 We have planted many, many more trees than we are likely to ever harvest in our logging cycle. It will be at least 25-30 years before another such cycle will take place on our land. I just wanted to highlight for this week’s blog that every person can do some small thing to make a positive impact on the quality of life on this planet. Our family participates in stewarding our local stream as a group that signed up for the Missouri Stream Team program in it’s very first year. Every year, we do 3 runs of 10 stops on each run, to listen to the breeding calls of frogs and toads as part of a state and national effort to monitor this environmentally fragile species. My family also picks up litter along our county dirt road that other residents and their visitors traverse. We have found that visibly picking up trash has resulted in less litter being pitched out over time. I suppose our efforts have some subtle or direct impact on the neighbors who drive by as we are picking the trash up and one can hope they are restrained by realizing that litter thrown out just makes more work for us. If I don’t want to come home with litter, I will even pull into a quick shop somewhere to throw it away in an appropriate receptacle. Our now deceased deaf uncle once taught us that litter on the ground attracts more litter. It’s like “oh look, there’s so much there already, a little bit more won’t matter”. I know that creating a cleaner earth is the responsibility of each and every individual and that it is also the responsibility of corporations. They are sometimes myopically focused on increasing profits, raising executive salaries and keeping the stockholders happy. Those of us ordinary people who care about the environment must hold their corporate feet to the fire as they do not always feel such responsibilities naturally. So support your favorite organization doing this crucial work and make your voice heard. We’ve had clean-ups here locally of the tailings from lead mining that were stupidly put onto residential land. I think that there were emissions that also rained down in the vicinity of the lead mines so that the yards at these homes have had to be removed and replaced. Such is the legacy of mining that led our region to be declared a SuperFund site. There has also been extensive testing of the children to check for lead poisoning here in our county as well. Fortunately our yard and our children are lead-free !! We each have many opportunities every day to make a higher quality choice. Often we have a wide range of choices at any given decision point. It is important to stay well informed about environmental issues so that you are as free as possible of misconceptions and also don’t add to the suffering of other people by your actions. If I see some small thing that wI can do that would enhance a better quality of Life in the world going forward – I should just do it. 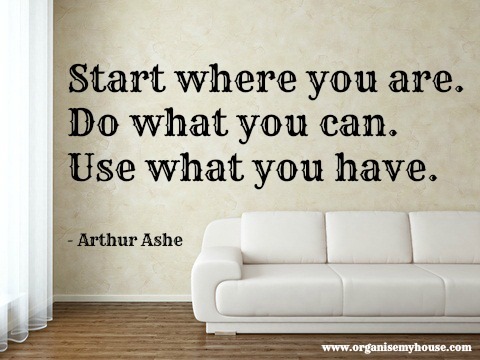 I hope you will see that you can do some small things as well that will add up to big results of a positive nature over time. I thought I’d share my family’s story as a way of explaining why I never got around to posting a blog here last week. My family has spent most of the last week planting trees. Back in 2002, we entered into a federal government program to reduce soil erosion and contracted to have 18,000 mixed hardwood trees planted in the riparian buffers of our major perennial stream. For two years after that, my husband mowed between the rows of trees because we refused to use herbicides to kill off the Fescue and that was the compromise we had arrived at with the government to allow us not to do that and still receive their financial assistance. My husband also walked the rows each year and hand-planted seedlings to replace any of the trees that had died with new trees. During that phase we added in evergreens and the flowering trees, Dogwood and Redbud. It was during that time that I was pregnant with our youngest and we were searching for a name for him. 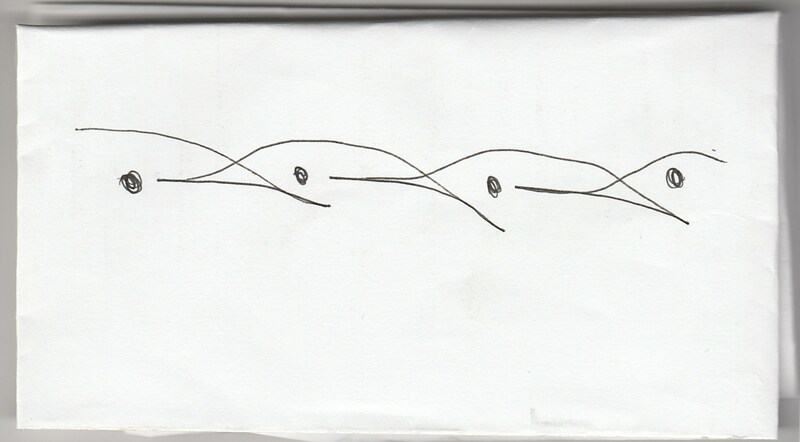 For personal reasons related to his siblings, my husband wanted a name that began with “T”. We have a lot of awesome rock here on our farm and one day he came home to me after some hand-planting work and said – “I have it !! We can name him Tree Stone ! !” I said no, no, no that is not a proper name and then inspired said, “Let us call him Treston”. And that story in why in some of our most fun and humorous moments we will sometimes refer to him as “Tree Stone” or “Plant Rock”. Last year the crazy restrictions and conditions for receiving state government assistance to plant more trees caused us to abandon that plan after many hours of researching and planning by my husband because it simply did not make economic sense (it was going to cost us a lot of money that we did not have at the time) and the risks it entailed (having to repay monies received and even pay penalties on it) if we did not perform precisely as instructed were simply not acceptable. Encouraging us even more, was the fact that the contractor who was supposed to do that work for us, simply would not return our calls. It was too large of a project to go forward with all things considered. So my husband and two sons hand-planted 500 evergreen trees. This caused my husband to grow concerned that he would not live long enough to fulfill his vision of replacing our pastures with new forest with what remains of his own lifetime at such a pace. My husband has been in the midst of this year’s project for months with lots and lots of planning in advance. We even spent an afternoon with an older man and his wife in a neighboring county. Interestingly, we first met this man back in 2002 but decided not to work with him because his values at the time did not seem aligned with ours. Now this year, my husband sought to learn everything he could from this man’s experience in machine planting trees. Not only did we visit him but several times my husband had long telephone conversations with him before we were ready to move forward with financial investments into this year’s planting. We bought an implement for tree planting. My husband modified it to make it safer and more useful for including our youngest son in the family project even including a seat belt for him. Beginning in late February, after we had already ordered and paid for this year’s bare root seedlings, we had almost 3 weeks of snow continually on the ground – first 7″, followed by 5″. We had lots of single digit and teen temperatures during that time and there was a very, very slow melting of that snow, immediately followed by a significant rainfall. When asked about when I thought we should pick up our trees and begin planting, I had suggested to my husband that he not pick up the trees until this week. However even though I thought we needed more drying out time but he went ahead picked the trees up at the nursery last week. Now the clock was ticking against us for the trees need to be put into the ground as quickly as possible once they are out of cold storage at the nursery. 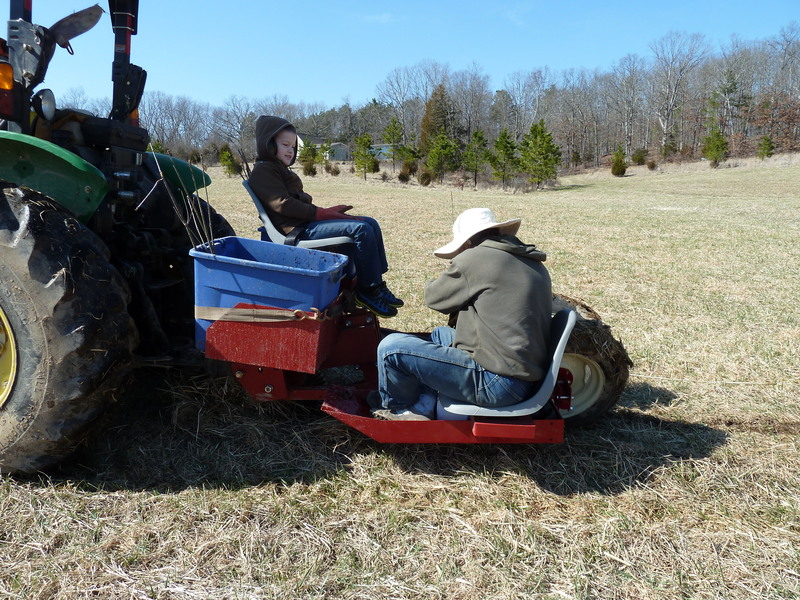 My husband still made good use of the extra “early” days by doing some replacement hand-planting of the rows that he and our sons hand-planted during last year’s effort and also hand-planting 25 Cypress trees into a wetland area. By Sunday, we tried to start planting Walnuts according to his plan which was to start in the bottoms near some of the trees we had planted back in 2002. The field was simply too wet. I immediately got our Suburban stuck. At least we managed to do all the training sessions that first day – mine for shuttling trees and water, my oldest son for driving the tractor and my youngest son (age 10-1/2) for managing the seedlings, handing the appropriate trees to my husband and telling him the moment to “plant” in order to keep a specific distance between trees and our son’s instructions included picking a “wildlife” specie to be interspersed after every 6 hardwood trees. You can get an idea of scale by noticing the little house in the red square at the bottom left of this image. This is only about half the entire length of this particular field. We will plant the other half in some subsequent year. 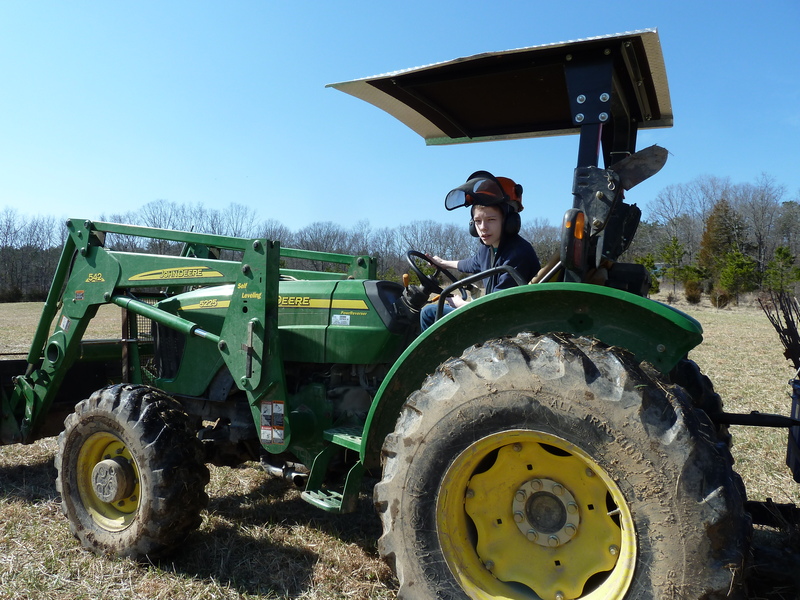 My older son, Simeon, was in charge of driving the tractor. Eventually the impossible wetness of the field caused my husband to give up on the idea of getting any more planting done other than a very tiny start we had made on Sunday afternoon. He’s a pretty persistent, determined kind of guy so giving up entirely wasn’t easy for him to do but the reality could not be denied. The drag of the plow on the planter in that mud would cause the tractor’s tires to spin even though thankfully the tractor never became stuck so that we ended up with a bigger problem on our hands. We didn’t even try to go out to plant on Monday but gave the fields a warm dry day to become more workable. Then, our oldest son (age 14) suggested that we really ought to start at the uphill part of the field or at least in the middle. 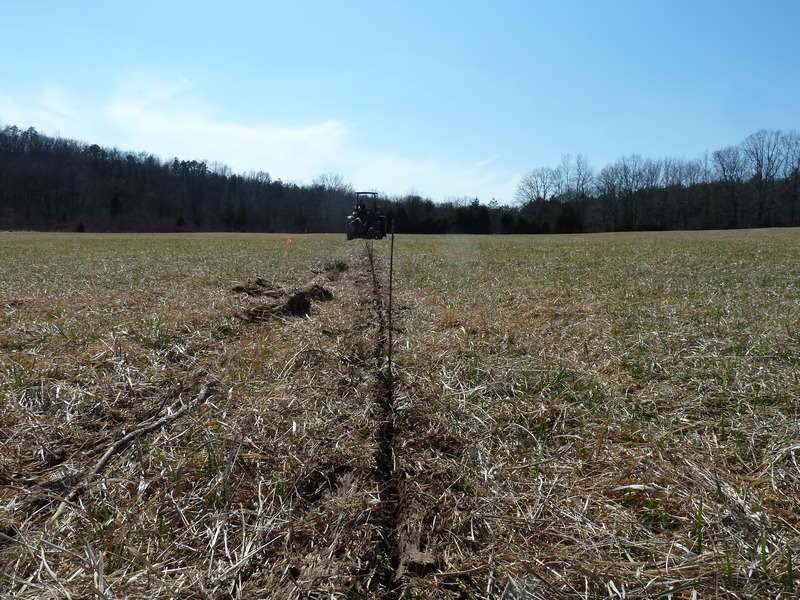 My husband was able to agree to a Plan B to plant in the middle of the field but in an attempt to keep the spacing on his original plan, he went out and flagged the spacing for two of those rows according to the downhill Walnut row. On Tuesday afternoon, we went out and started uphill from the middle with the Northern Red Oaks and managed to get through the Black Gum after about 4 hours as the cold wind and approaching darkness put an end to that day’s work. On Wednesday, we expected rain by 2pm for the next 48 hours and so we got an early start, expecting to have to quit early. The field was the driest yet and so we turned back downhill from the middle. Good fortune kept the rain at bay and we ended up being out there for 9 hours until dark. There were some light sprinkles that came but nothing strong enough to put a stop to the day’s work. However it did rain that night and was lightly raining on Thursday. So on Thursday, my sons and I were given the “day off”. My husband went out and hand-planted the “wetter” areas that gave us so much trouble on Sunday (the Walnut rows) by hand. He admitted that it would take many weeks for that area to actually dry out. On Friday, we got an early start – not as early as Wednesday but still put in 7 hours (working until dark). 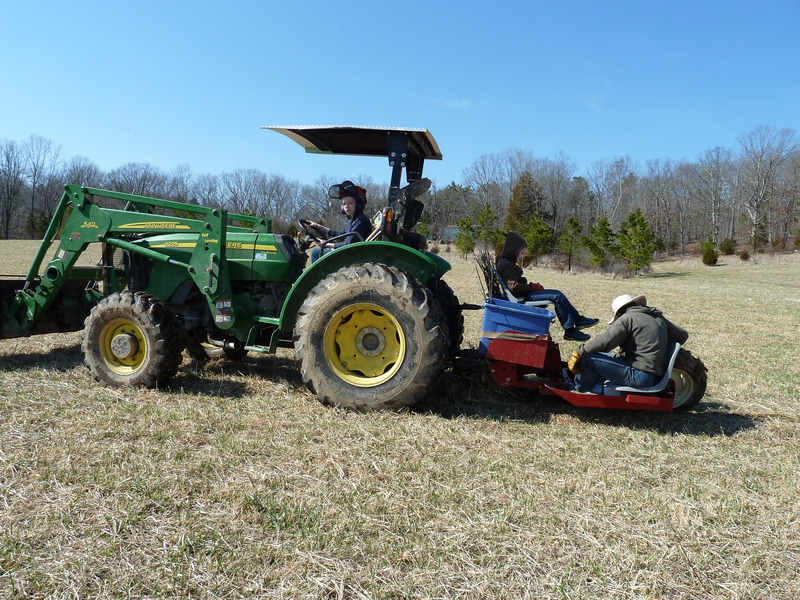 We finished the big field but still had a lot of seedlings left over, so we went to Plan B below for the excess trees. By the end of Friday, there were only 300 trees left and so my husband and older son took care of them in about 2-1/2 hours on Saturday and allowed myself and the youngest son to stay home. These trees went into the field to the northeast of my deceased in-laws old log cabin. Here’s the tally for this year. 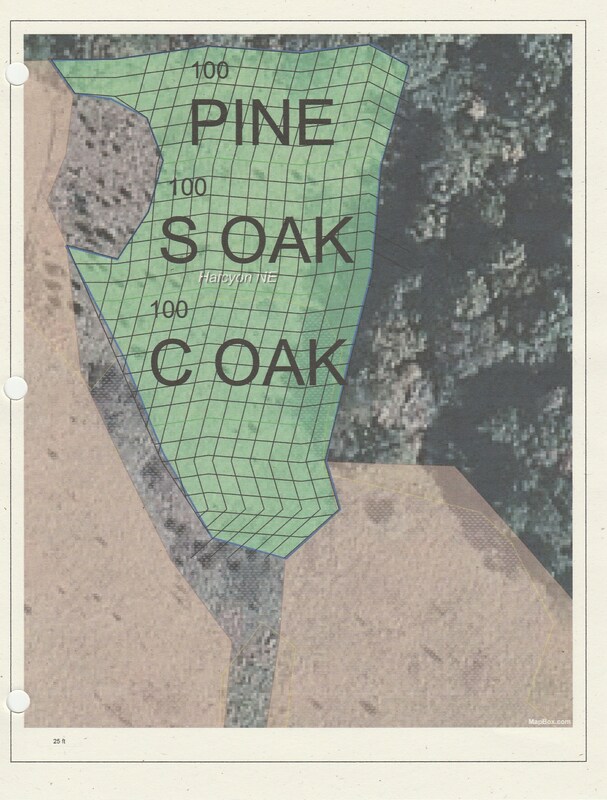 Total Hardwood Trees = 2,350. About 200-300 per species. The mix included – Black Walnut, Black Cherry, White Oak, Mixed Hickory, Shumard Oak, Sweet Gum, Northern Red Oak, Black Gum, Black Oak and Chinkapin Oak. Total “Wildlife” Species = 360. The mix included – Black Chokeberry, Black Locust, Eastern Wahoo, False Indigo, Flowering Dogwood, Red Mulberry, Redbud, Slender Bushclover, Smooth Sumac, White Fringetree and Wild Plum. And another 25 Cypress trees in the wetlands area. The work is not yet entirely complete. 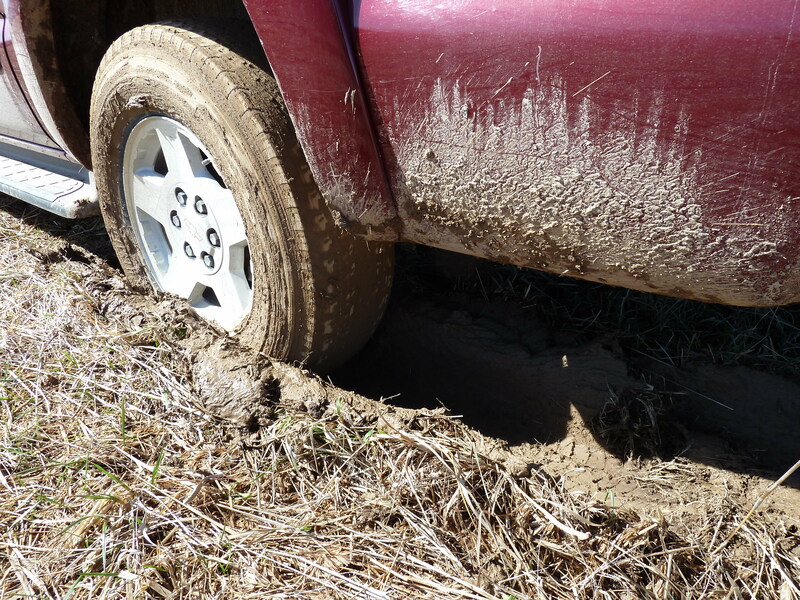 As I write this, my husband is back out in the field on the tractor because we can’t leave the plowed groove “open”. The little rodent like critters would utilize that as a “highway” to munch on the roots ending the future of our trees. The diagram above represents the slow and tedious process as he uses one of the front tires on the tractor to close the plowed grooves. The dots represent seedlings in a row. 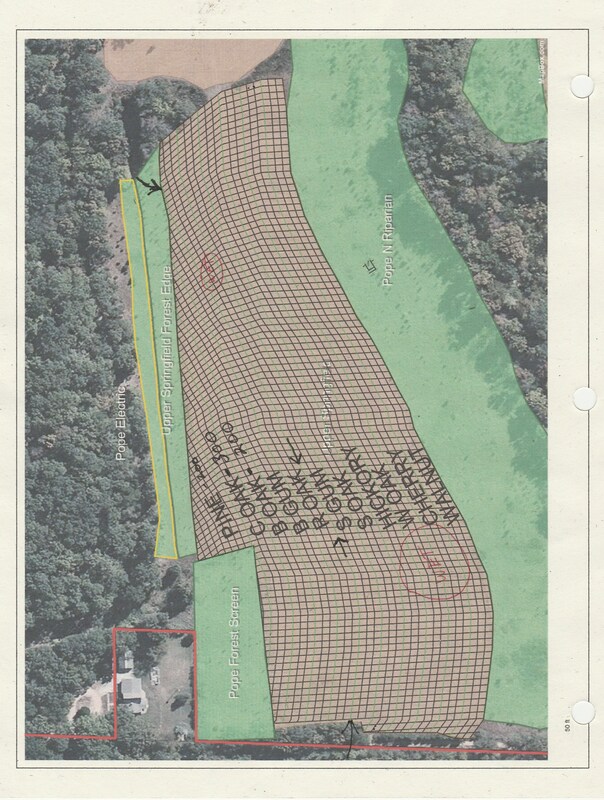 The long-range overall plan is to replant all the Fescue pasture that my husband and in-laws created back in the late 1970s/early 1980s in trees so that we won’t have to burn the fields to keep them open anymore. We will do that planting over about 5-6 years time in sections of about the same size or quantity as we did this year. By doing this intentional planting, we are modifying what Nature would do in returning fields to forest. In the natural cycle, Cedars, Locust, Sumac and Persimmons are among the first to take root in a fallow field. We have stands of tall Pines here that are described as succession trees, these are what grow next in the areas that once were crop fields. Later on the hardwoods begin to take hold. This cycle would create some marketable timber after 100-150 years of time elapsed. At this time, hardwoods have the most commercial value as timber. We have planted a lot of hardwoods including quite a few species of Oak which do well and are native here. We are protecting the farm in perpetuity as long as there are descendants to live here as stewards of this extraordinarily beautiful land. Our sons will certainly be able to follow our Forest Management Plan which will have them in another logging cycle in about 30 years and therefore, they may achieve the long-term funding benefits for the continuation of this farm twice in their lifetimes. The trees my sons have been involved in planting may benefit them at the end of their lifetimes or will be of financial usefulness to their children some day. Most people do not have such a long-view regarding what they do on the land they have possession of. I believe that is why it is somewhat rare for anyone to put so much time, effort and money into planting trees – they see no personal benefit in doing so. Certainly, serious environmentalists will always consider planting trees beneficial for the planet and all her creature’s health and vitality. Water !! There is nothing more precious to life on Earth. Almost as precious however are the youth who will inherit the Earth when their elders are no longer the driving force of progress and evolution. As this 14 year old began doing research for his science fair project, using California’s drought as his subject and how to help solve it with a focus on how each person could do their share by preserving and storing as much water as possible, he was not able to find suitable storage options already existing that would fulfill his personal goals. So he did an internet search for an existing fence product that could accomplish that goal but he found nothing like it at all. He started doing his theoretical calculations using his own yard’s fence which was 80 feet by 70 feet by 80 feet. At six feet high by seven feet long and making his “idea” fence slightly wider than his actual, 12 inches, he determined that each fence section could hold approximately 320 gallons. Next Steven calculated how much rainwater run-off he could capture from a 2,000 sq ft roof surface area using a rainfall total of 1 inch times his conversion factor. He determined the rainwater run-off would equal around 1,200 gallons of water. The fence would capture and evenly spread that run-off water to each storage unit whenever it rained. Thus he realized that he could theoretically hold almost 13 thousand gallons of fresh pure rain water in such a fence structure. 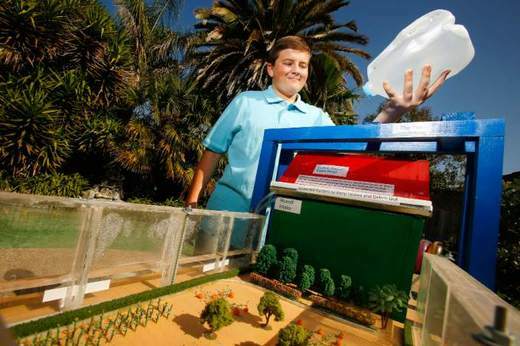 Steven McDowell has gone on to win many other prizes with his Water Fence idea as well including the U.S Stockholm Junior Water Prize Regional Award and the American Meteorological Society’s “Certificate of Outstanding Achievement”. Even as he is very excited that his incredible Water Fence system made of HDPE (High-Density Polyethylene) which is 100% recyclable (yes, Steven is saving trees that would have been wooden fences as well as conserving fresh water !!) will soon be available for purchase, he also encourages others to create sustainable options for water conservation. The importance of water can not be over-stated. Scientist’s predict that by 2050 half of the world’s population will be impacted by a scarcity of fresh water. Environmental refugees will be forced to migrate away from areas without the necessary resource of water. The current mismanagement and misuse of increasingly scarce water resources threatens to plunge most of the global population into extreme water poverty according to the world’s leading water scientists. The draining of rivers and underground aquifers as well as pollution and erosion along with climate change pose a long-term threat to human welfare. 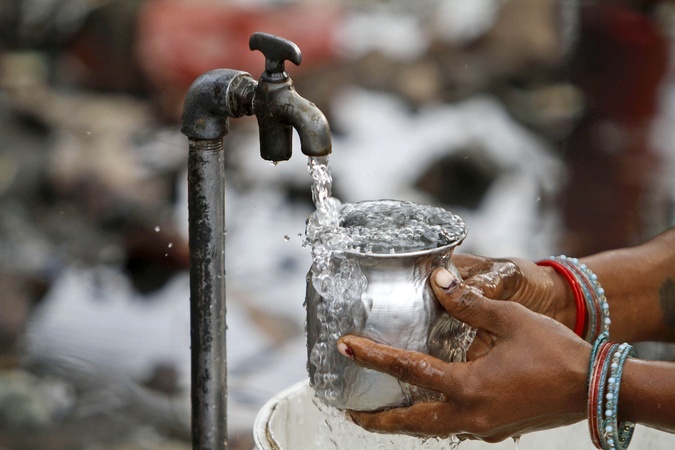 The increasing use globally of water combined with the permanent degradation of quality in existing water supplies is on an “unsustainable trajectory” according to scientists who feel it is fast approaching a global tipping point. Our world needs more kids like Steven McDowell and I believe they are out there dreaming up solutions to the challenges that face mankind as we move into a future we can only theorize about now. I remain optimistic that the vitally precious resource of imaginative kids will not only find solutions to a potential scarcity of fresh water but the other pressing issues to affect everyone’s quality of life. 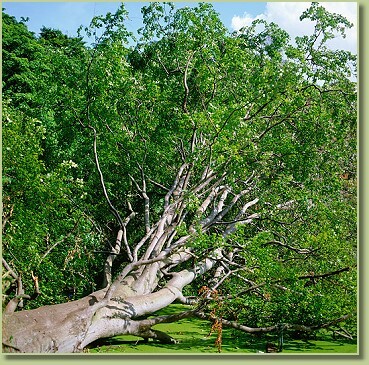 Lately, this blog has been focusing of how trees sequester Carbon but that is not the only element that trees are able to contain within their solid forms. It was surprising for me to discover that trees also have an ability to sequester radiation. 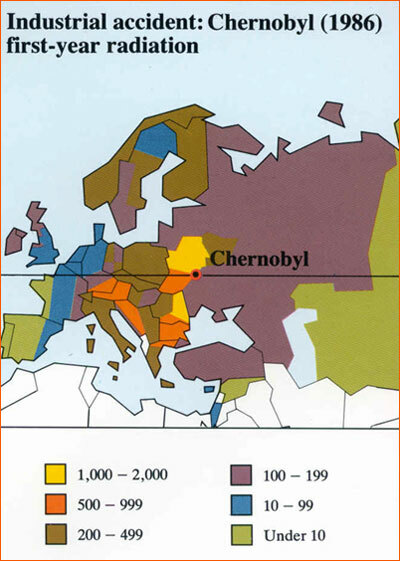 The trees in the forests in the the vicinity of Chernobyl died several decades ago with the massive release of radiation that occurred with that accident. However, what is surprising to me to learn is that unlike most trees that die in a forest, these trees are not decomposing or decaying “normally”. The “dead zone” includes a dearth of microbes and fungi that would normally be doing their work to return the dead solid matter of the trees into soil. Even the leaf litter and dead brush that would normally be decomposed in a matter of a few years are not decomposing but accumulating on the ground. Well known among the forests in the vicinity of Chernobyl is the Red Forest. 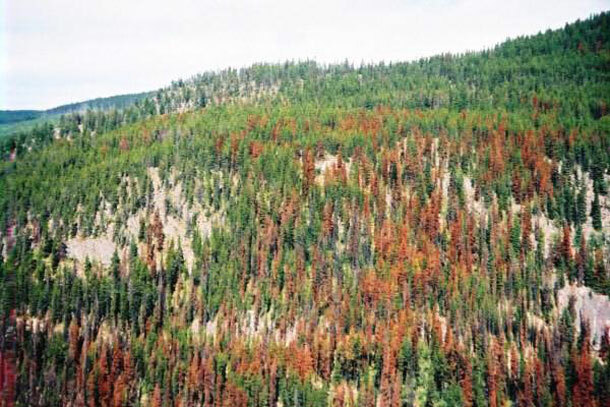 This is a Pine forest that turned a reddish color and died quite soon after the accident. The trees were subjected to radiation equivalent to that of 20 times the atomic bombings of Hiroshima and Nagasaki. Today, radiation levels in the Red Forest can be as high as one Roentgen per hour, but levels of ten milliröntgens per hour are more common. More than 90% of the radioactivity of the Red Forest is concentrated in the soil. In an average forest, such dead tree matter is no more than sawdust within a decade – about a third of the time that the trees have now been standing since the accident. In the post-disaster cleanup operations, a majority of the pine trees were bulldozed and buried in trenches by the “liquidators”. The trenches were then covered with a thick carpet of sand and planted with pine saplings. Many fear that as the trees decay, radiation will leach into the ground water. People have evacuated the contaminated zone around the Red Forest. 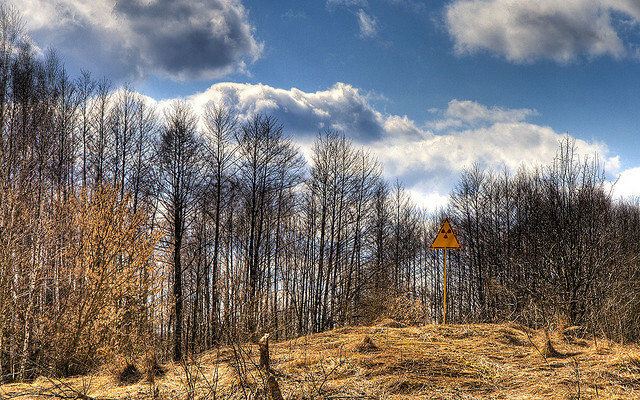 Of the greatest concern in the Chernobyl forest, that still stands but is dead wood, is the potential for a catastrophic wildfire that would effectively release radiation into the atmosphere along with the smoke and other gases that would be generated. Radiation is a part of our lives that we can not readily avoid and human interactions with the environment are part of the effects. So, beyond the effects of the Chernobyl accident upon the forests in the surrounding areas, are the more recent effects of the Fukushima accident in Japan which was upon the oceanic coast. 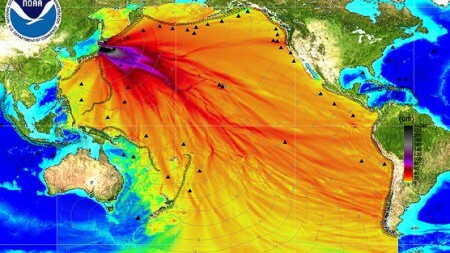 Henrieta Dulaiova, an assistant professor in the University of Hawaii’s Department of Geology and Geophysics, has been studying the radiation released into the Pacific Ocean since the 2011 disaster in Japan. The ocean samples that Dulaiova has been analyzing are collected at Station Aloha which is 100 miles north of Oahu. Dulaiova also has an ongoing study that involves testing mushrooms in Hawaii that bioaccumulate cesium. The goal is to learn more about the atmospheric fallout from the disaster. Officials from Hawaii’s health department also said that there is no significant threat to the state right now. Workers continue to monitor the air, rain, drinking water, milk, and tsunami debris for elevated radiation levels. According to state health officials, federal experts do not anticipate contamination of seafood in U.S. waters at this time. “I would say you’ll be safe. Just this is an educated guess depending on how soon the plume gets here and based on the measurements that we have done on the edge of the plume,” Dulaiova said. Dulaiova said it’s difficult to predict the radiation plume’s location since there are several different ocean models. According to her, the plume is likely to hit the west coast and then possibly reach Hawaii at low levels in 2015. It looks like this event’s results will be “developing” for some time to come. Since everyone is focused on the Super Bowl today as I write this, I thought I would ask – Do you ever stop to think about the “big mess” left behind after the Super Bowl ? Actually, I can tell you that today, I actually do appreciate all of the efforts that The National Football League (NFL) is putting forth, along with the MetLife Stadium, to “go green” with this 2014 Super Bowl. Actually, the National Football League (NFL) has sought to gradually reduce the footprint left behind by the Superbowl, since the early 90′s; and this year they are planning to make it the most environmentally friendly Super Bowl event to date. 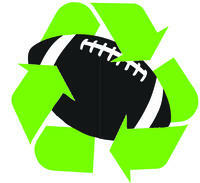 “We try and stay ahead of the curve,” said Jack Groh, a consultant who directs the NFL’s environmental programs. “We try and push the envelope every year.” In the weeks leading up to this year’s Super Bowl, the NFL sponsored e-waste recycling events in New York and New Jersey that collected 9,000 pounds of old phones, computers and other gadgets, according to Verizon Inc., which partnered in the program. The NFL sponsored the planting of tens of thousands trees in the metropolitan area to offset carbon emissions related to the Super Bowl game (makes my tree hugging, forest dwelling self smile !!). And after the game, the league will donate several miles of fabric signage to nonprofits or other groups for re-purposing. In New Orleans, Groh said, local designers took the fabric and used it to make purses, dresses, shower curtains, beanbag chairs, tote bags and wallets. “Our primary objective is to see that it doesn’t go to a landfill,” he said. 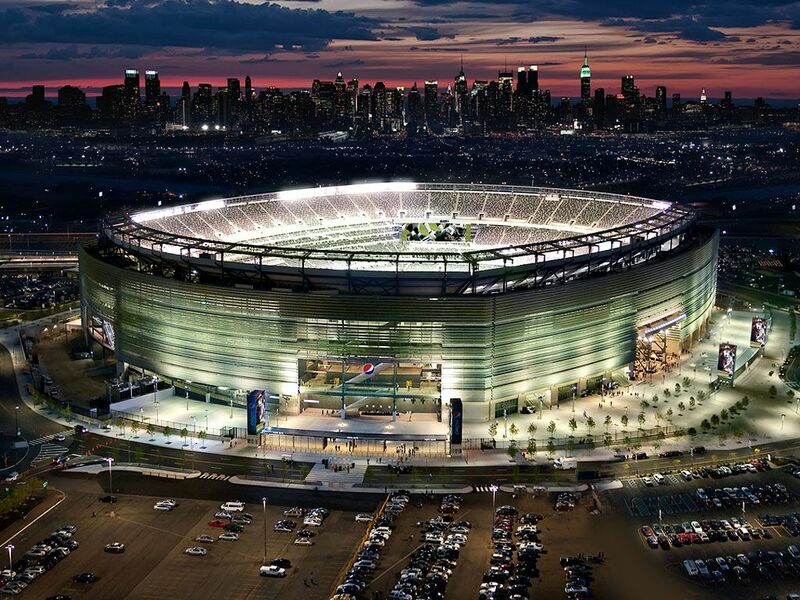 The stadium selected, MetLife, is the first stadium in the world to meet the rigorous standards of the Green Restaurant Association, although it only got a score of 2 out of 4. Because our business IS recycling, I am especially happy to learn that staff at the stadium pledge to recycle plastic, glass, aluminum and paper during and after the big game. But that isn’t “all”. From composting food waste (we do that too but this will be a “first” for a Super Bowl event) to using biodiesel (processed from waste cooking oil) to power generators, MetLife Stadium is leading by example. Infrequently, storms knock the power out in our wildly remote home’s location, so we have a gasoline powered generator here too, in order to stay in touch with our business’ needs, until the power can be more conventionally restored. We have not considered the possibility of an alternative fuel for that purpose so far. This is definitely out on the leading edge. A biodiesel mix will be used in generators that will power Super Bowl Boulevard, the 13-block party on Broadway that will feature entertainment and a giant toboggan slide, as well as generators that are augmenting the power supply on the MetLife Stadium grounds. The head of Public Service Electric & Gas, the utility that provides power to the complex, has estimated that it will take about 18 megawatts of electricity to power the entire complex for the game, or what would be needed to power 12,000 homes. Of that, PSE&G president Ralph LaRossa said as much as 1/3 or six megawatts could be provided by the generators. Whether you are rooting for the Denver Broncos or the Seattle Seahawks (or really could care less, as I will admit is true for my own self) – you can definitely applaud, that even the traditional football face-off of mid-Winter, is thinking about the color of Spring. 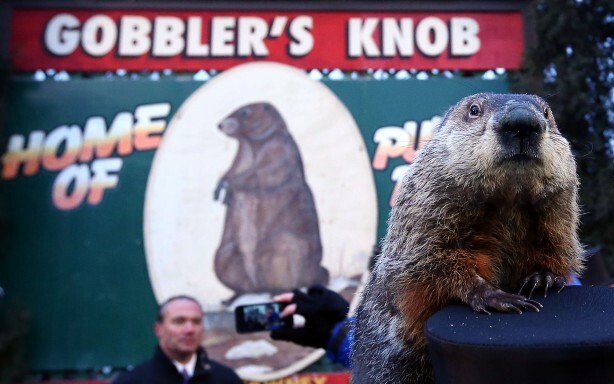 That old codger, Punxsutawney Phil, says 6 more weeks of winter. His predictions remain controversial but that the winter trends towards the more severe in much of the United States this winter, is a known reality to the many experiencing it first-hand. Heating Fuel prices are through the roof, thanks in part to the export of supplies (due to higher prices accepted elsewhere) that could have taken a bite out of the cost of off-setting winter’s cold, for many people in our own country. It really is true that sometimes one can’t see the forest for the trees. After coming to inhabit this forested farm, our family was reluctant to leave any impacts on the forest. Some trees were selectively harvested to create the log cabin retirement home that each of my in-laws passed from life within, just as they wanted to do. Some firewood was gathered from fallen trees. A few Christmas Trees were taken from the land but then, we started buying live trees. On the surface, it seems to equal 2 trees – the one not cut and another one planted. However, after spending weeks indoors and being transplanted into a field in mid January, success is rarely the outcome. Living in a forest is an interesting experience – fires, storms, wildlife, unexpected late season freezes, insects and droughts all have impacts on the health and vitality of the forested land. Man has an impact on the forest’s health, even if the choice is quite “hands-off”. So, it came to pass that with my in-laws passing from our physical lives, we became stewards of a significant piece of forest and began to understand some practical realities. While the wild can care for itself, that does not necessarily equate to optimal health. Our domestic pets are healthier than the wild critters that sometimes eat the nightly leftovers of the backporch kitties. And a forest that is cared for is healthier than one that is left to its own devices. Humans are a part of Nature. We are the planet’s intellectual response to many on the ground events. Back in 2001, a large storm passed through the forest to the south of our property’s boundaries. While the owner did intend to log that land, they had a gentler and more selective plan in mind. However, Mother Nature’s extreme handling left that property with 60-70% blow down. We tried to hike that area shortly thereafter and it was very difficult and slow going. So, there was a fast salvage effort and the land was re-planted roughly without any soil preparation in a monoculture of pine trees. 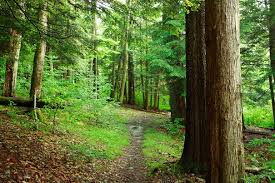 The trees have never-the-less thrived and grown well and without a doubt they are sequestering a lot of carbon from the atmosphere. Then, in 2009, our region experienced a devastating storm, approx. an inland hurricane, known as a derecho that took out a very large swath of forest state-wide. In fact over the next few years after that, severe storms came almost every year. 50 yr old Oaks and Pines always got the worst of it as they were sent crashing to the ground. We began to rethink how we care for the forest. During a long trip through the western states we saw the devastation of monoculture and overly dense forest – protected from wildfire and logging – come under attack from the Pine Beetle. This is not the first such devastating result of another part of nature – insects !! The Forest Stewardship Council seeks to promote environmentally sound, socially beneficial and economically prosperous management of the world’s forests. 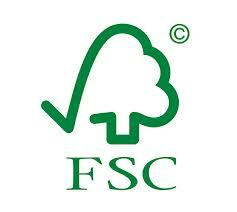 While we do not claim to be a FSC-certified forest here in Missouri, we do appreciate their efforts. We share their values in wanting to consider long-term impacts on the health of our forest eco-system in every decision that we make. We consider our farm a preserve and our management stewardship. Our forest is home to a large diversity of biomes, wildlife and flora and sustains a healthy flow of perrenial watershed throughout. Even though our farm is not FSC-certified, because truly we are not in the timber business but simply of a forest stewardship mentality, as environmentalists we do recommend that architects and designers consider FSC-certified wood when specifying green-building products for their projects. We asked “Trees Forever” – “What Makes a Healthy Forest ?”. A forest of a mixed structure that includes ground layer, wildflower layer, shrub understory layer and canopy trees is less likely to be invaded by exotic species and insect pests. That is the perspective that we employ. Over a decade ago, we planted almost 20,000 trees in a 40+ acre riparian buffer in the watershed. We planted a broad diversity of many species of hardwood, nut trees, evergreen and flowering trees. The Emerald Ash Borer that is threatening the health of Midwest forests, may or may not attack the Green Ash trees that we planted but since these are all in small stands with other species of trees around them, they are more protected than they might have been had we focused on only one species of tree. One of the reasons that we are doing selective logging and timber stand improvements on our forest is that if there is a forest of even aged trees, they are more likely to end up with invasive species. We consult with state and professional foresters for advice to improve the health of our forest. Just like parents seek the advice of a pediatrician to keep their children healthy. As my business partner and husband, Steve, takes time away from our recycled materials business to spend some time outdoors, cleaning up the areas impacted by necessary logging and stand improvements making brush piles, water bars, smoothing terrain and planting in cover crops, as we plan for aesthetics and practical outcomes for areas needing attention by replanting trees, we are like parents or gardeners in stewarding our forest to be not only healthy but accessible and able to provide enjoyment for any humans who might hike the natural beauty of this forest. One of the reasons that we were attracted to offering Cork as one of our recycled materials, was the delight in being able to bring an organic, sustainable material into the assortment that we offer our customers. Trees, shelter, shade, food, purification, the Earth’s stubbly hair. Trees are easy to love and appreciate. 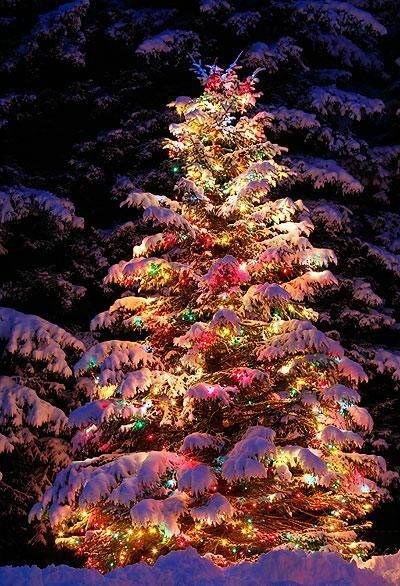 Enjoy connecting with a tree this Christmas – indoors or out.